Is Apple backtracking on its commitment to high-def music? | What Hi-Fi? Is Apple backtracking on its commitment to high-def music? 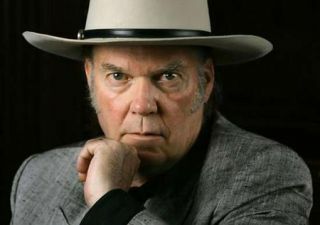 An interesting article on the CNN website, in which singer-songwriter Neil Young (above) claims Apple's ambition to improve the quality of song files it sells on iTunes has lapsed since the death of founder Steve Jobs. Last year Universal Music Group was working with Apple and other download sites to move to high-resolution 24-bit audio files. To make the switch, Apple would have to retool future versions of iPods, iPads and iPhones so they could play higher-quality files. But now Neil Young – with whom Apple consulted on the project – has told News Corporation's D:Dive into Media conference in the US that "not much" has happened with Apple's high-definition devices and downloads project since Jobs died in October. Young says Jobs was directly involved in the high-definition initiative, speaking directly to him about it. Should Apple ressurect the plan? Would you buy high-resolution tracks on iTunes? Let us know what you think in the Comments box below.